KUWAIT: As part of its ongoing efforts to build community-wide awareness, Kuwait International Bank (KIB) sponsored activities of the International Day Against Drug Abuse, which was organized by the Ministry of State for Youth Affairs in cooperation with the Ministry of Interior. 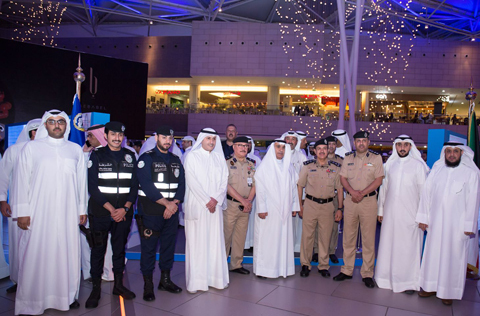 The event featured a booth at the Avenues Mall which aimed at promoting awareness of drug abuse prevention, its damaging effects, as well as control methods. KIB believes in the importance of cooperation between both private and public institutions to fully support initiatives such as these. KIB remains committed to participating in and sponsoring a number of various international events, particularly those that are locally-led. As a result, these initiatives aim at shedding light on Kuwait’s active interest in international events, which positively reflects on the local community.